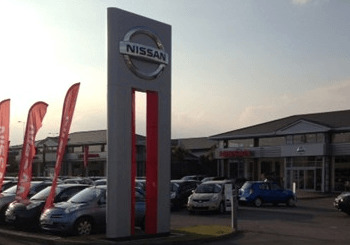 HOWARDS NISSAN - WE'VE MOVED! Our Howards Nissan Dealership in Weston-Super-Mare has moved from its Searle Crescent location to Hildesheim Bridge. The new location boasts a spacious showroom that can easily fit up to eight cars inside. This is complemented by the state-of-the-art workshop facilities, where our team of highly expert mechanics will now be carrying out our range of services and repairs using the latest diagnostic equipment. Outside, the showroom has been fully refurbished and Nissan branded to catch the attention of passers-by. Upon entering, customers will be greeted by a brand new, high-tech flat screen TV and comfortable seating area. Official opening events will be taking place between the 22nd and 24th of August. For more information, contact the dealership.